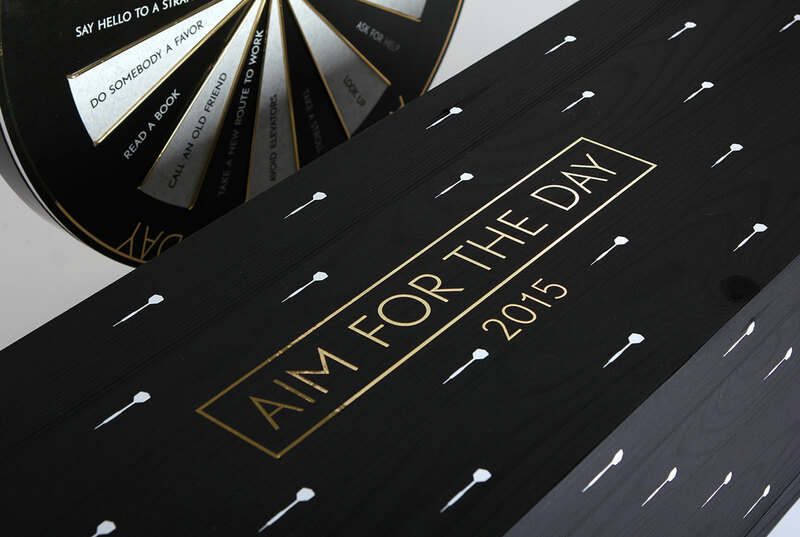 Aim for the Day is a calendar with ambition. 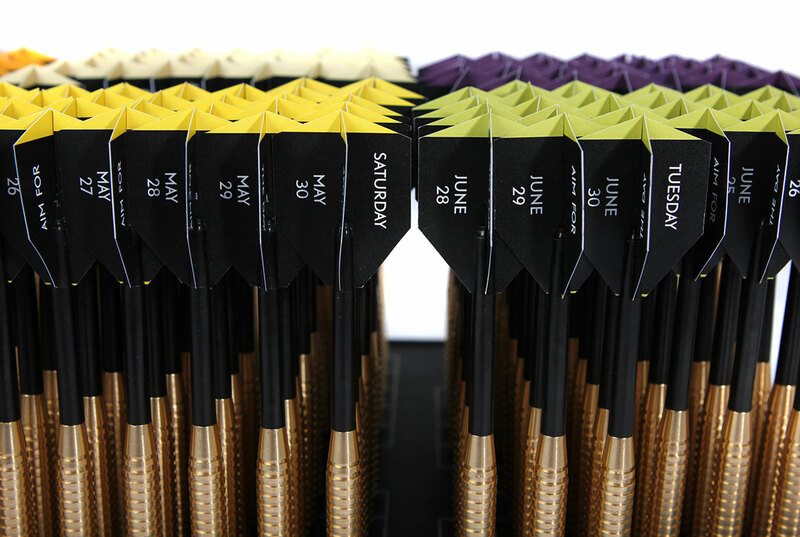 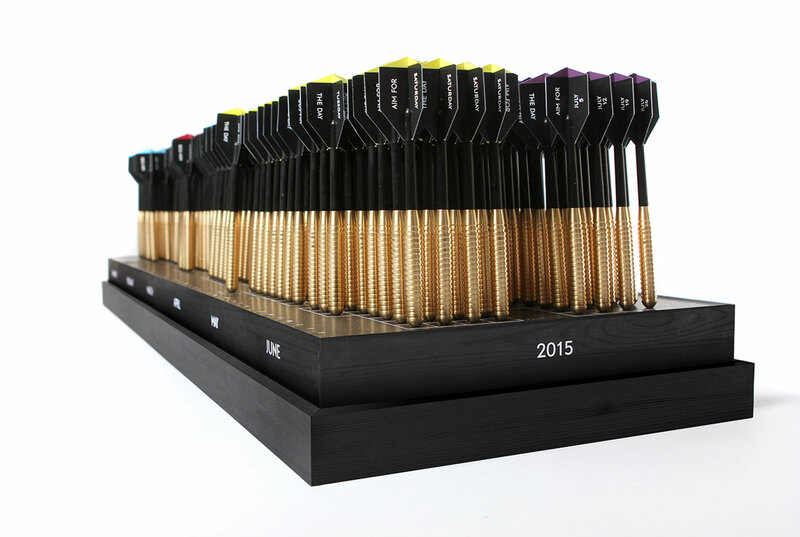 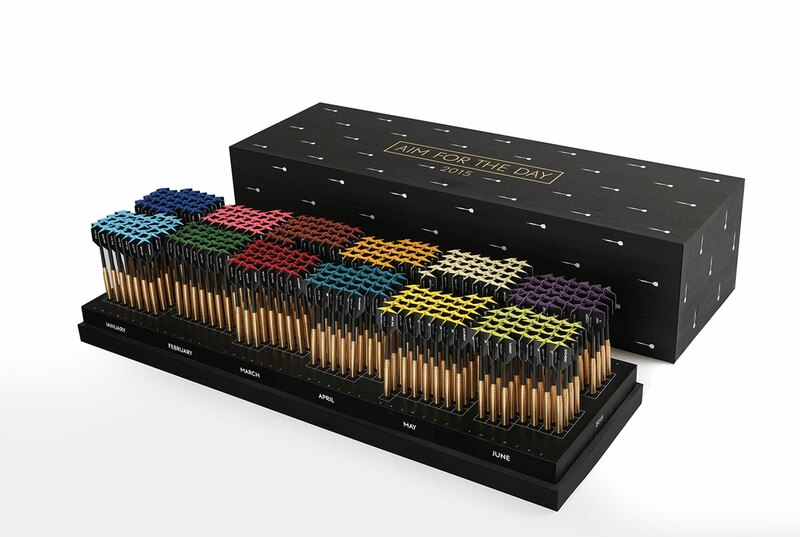 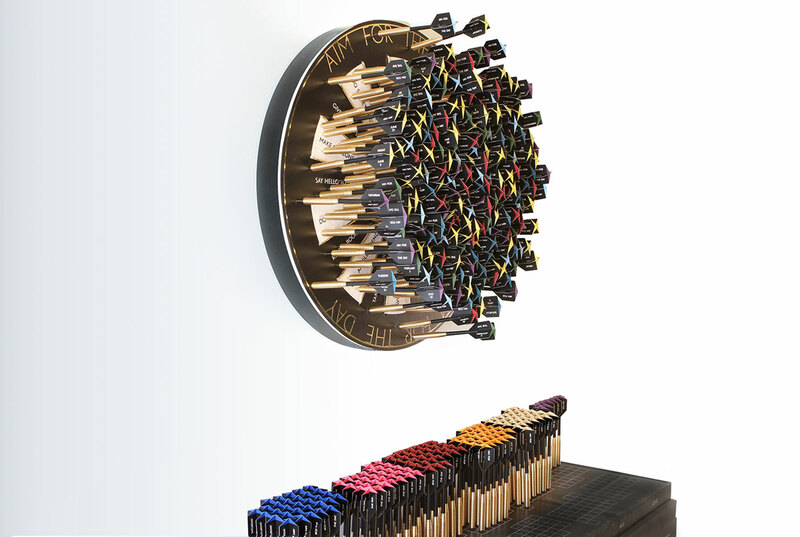 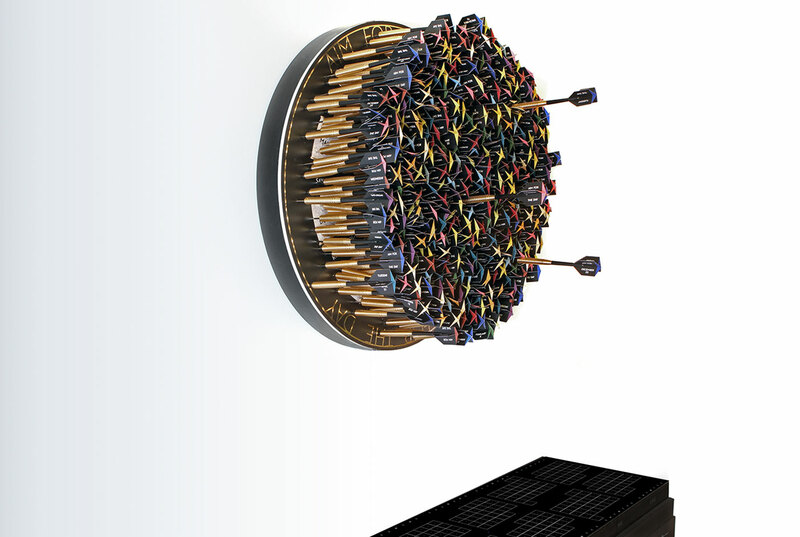 This quality constructed piece is composed of a dartboard and chest containing 365 individually dated darts. 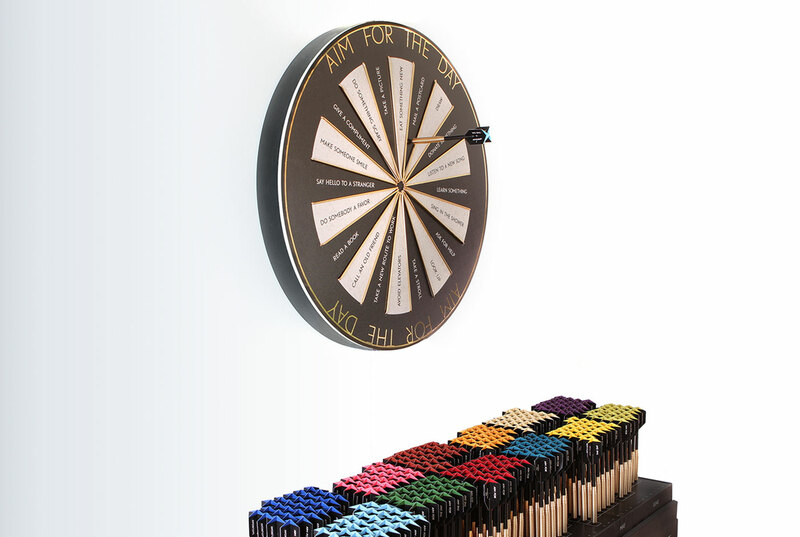 Rather than the traditional scoring pattern, the dartboard’s segments present an aim for the day – ‘Do something scary’, ‘Take a new route to work’, ‘Learn something’… Each day the user throws a dart and depending on where it lands, a new aim is given. 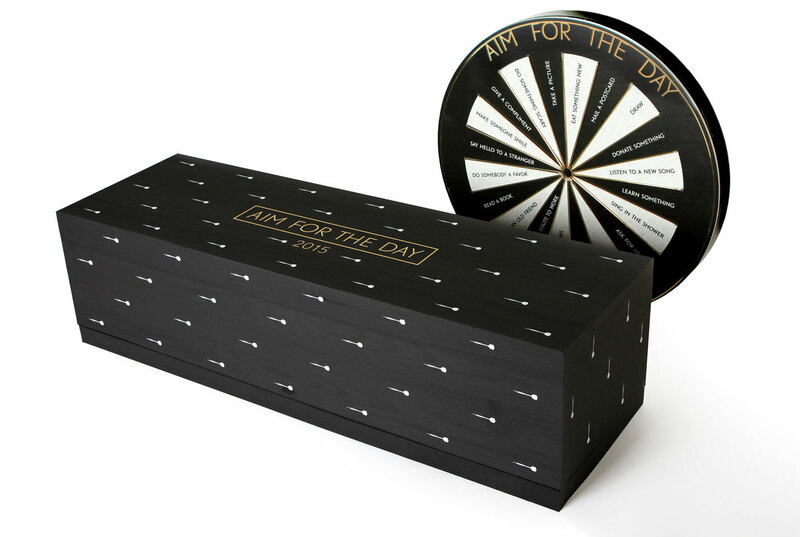 This calendar encourages the user to break free from routine, discover new experiences and develop a sense of achievement and happiness throughout their day-to-day life. 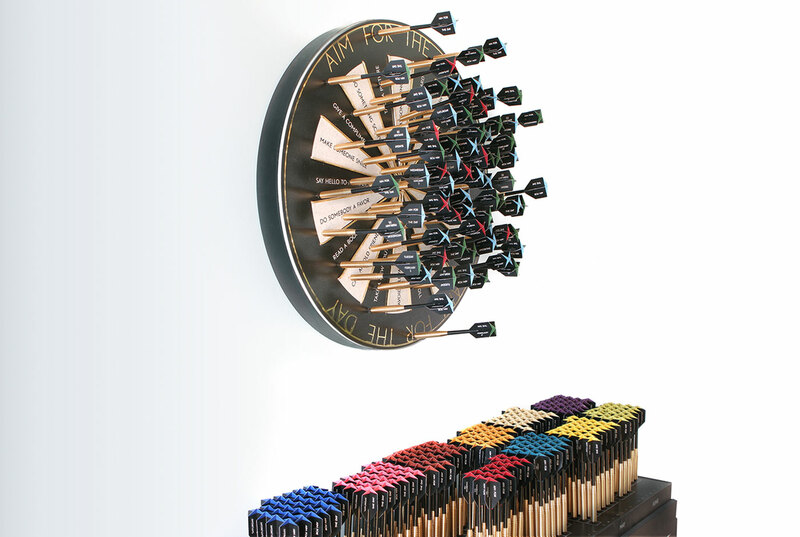 After one year the complete dartboard becomes a showcase of 365 achievements giving the user a great sense of satisfaction and accomplishment.